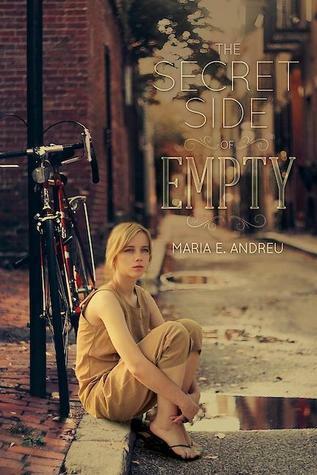 It’s time for another Bookanista recommendation: Maria E. Andreu’s The Secret Side of Empty. Protagonist M.T. was one of those rare characters that I felt an immediate connection with–I loved her wry and funny, pitch-perfect teenage voice. I cared about M.T. from the first page, and so reading her story was intense and sometimes painful but ultimately rewarding. This is a powerful story about immigration, abuse, and suicide–but it’s an equally powerful story about hope and resilience. And the romance between M.T. and first boyfriend Nate is so achingly sweet and real. I loved this book, and I’d recommend it to anyone who wants to read a good contemporary YA–the fact that it’s also an important and honest about about some big social issues makes it even better. Wow that sounds like such a unique perspective and I love that Andreu is writing from her own experience. I will have to add this to my list!